Learn how visuals help your business get seen and grow. If you’re trying to market your business, you’ve probably heard some iteration of the saying, “content is king.” Of course, content is what drives traffic and gets you seen in today’s hyper-connected world. But the content that works seems to change all the time, and we are just beginning to understand the power of visuals in content marketing - not just pretty stock images for featured images, but dynamic visuals that tell their own story. Let’s be honest: people skim. With any great content that you produce, people are going to browse it quickly to see if it’s relevant to them. On top of that, Time magazine says that humans have about an 8 second attention span, so you have to make those 8 seconds count. But because visuals are processed about 60,000 times faster than text, visual content is working the best in today’s marketing environment. While blogs, articles and traditional forms of marketing continue to grow small businesses, the truth is that visuals are getting more attention than ever. Let’s talk about the kinds of visuals you can use for your small business marketing - and how they actually convert. From infographics to hero images to unique photography, there are different types of visuals you can create that get results. Your startup small business can use visuals to attract more web visitors, increase conversions, and also build communities around your service, product or message. The best part? They don’t have to cost an arm and a leg. Because infographics combine the meat of your message with unique and engaging visuals, audiences really respond to them. They’re also easy to share, which means your image could get massive reach. Infographics can be very affordable if you design them yourself using Google Slides, Microsoft PowerPoint or a service like Easel.ly. Create one infographic, and use it in your blogs, in your emails or even in your investor/media materials! Photography. This doesn’t mean stock photos! 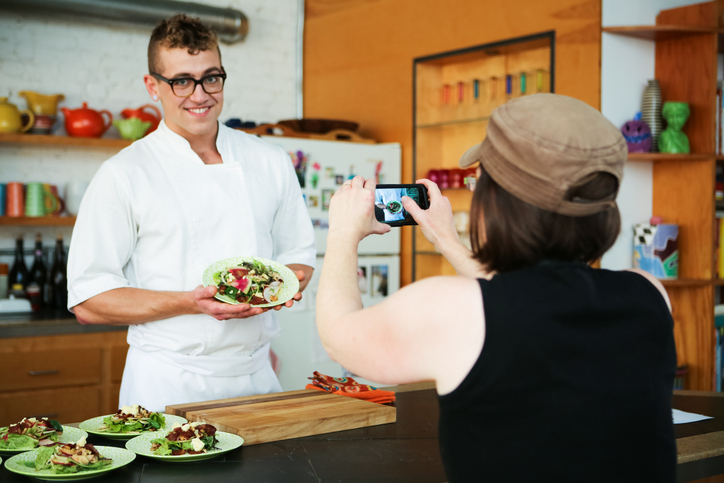 Use a good camera, or recruit a local photographer to take photos relevant to your business. This could be your team, your product or local sights that connect to your community. Video. We all know that video is highly effective; just look at the success of YouTube. But your small business doesn’t have to invest in fancy video editing software or a full-time videographer! Start with smaller tools like your smart phone camera! Use Facebook Live, Instagram stories or other platforms relevant to your industry. For more information on what kind of videos to create and share, check out this great checklist. Your brand. What are your brand’s colors, fonts and overall “feel?” Staying consistent is very important so that people connect your visuals to your business. Your industry. Are you a lifestyle coach or an architect? 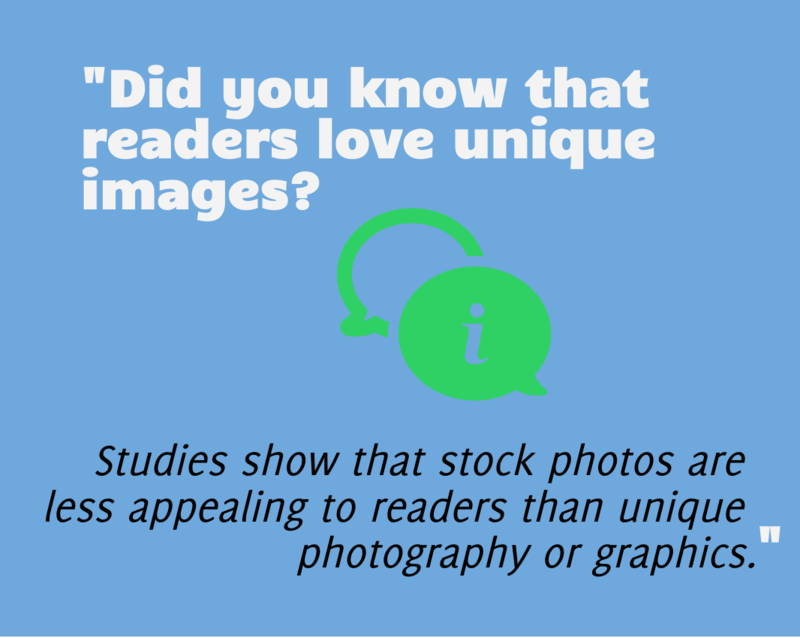 The visuals you’ll use are very different for these different audiences. Your platform. Are you creating images for social media, email or your blog? You need to know the ideal size for each platform, as well as the general audience and what they like to share or receive. Your SEO. This doesn’t have to be complex. Just pay attention to alt tags, embed codes and what you put as your image caption. This way, search engines can “crawl” your images and connect them to your content or website, too. Learning how to create new content for your small business can take time and energy, but if you focus on creating quality, unique visuals, your business should reap benefits in short time. Most visuals are affordable, which is the key to small, startup-friendly content. All you have to do is invest a little more time into creating high-quality images; your audience, buyers or clients will notice the improvement. Soon, your startup small business promotion will be easier, more consistent and more effective than ever! Visuals are expected to account for over 80% of communications by 2018 - let’s make sure your business is ready. 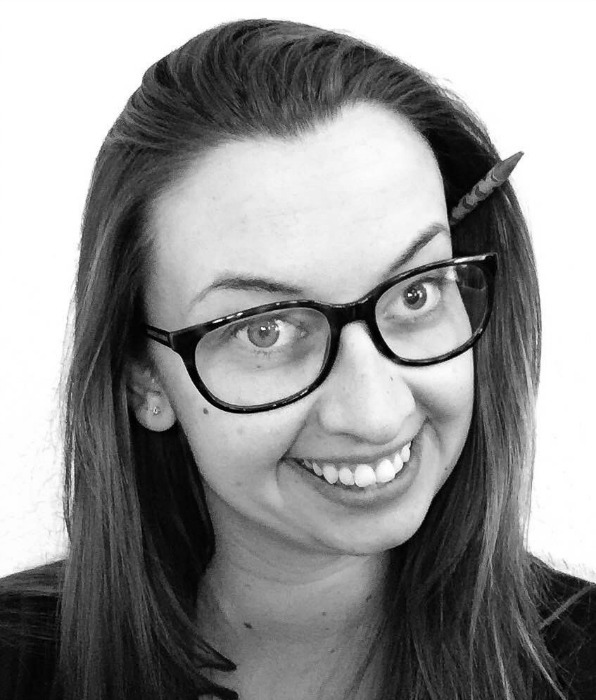 Latasha Doyle is a freelance content specialist and writes for Easel.ly, an online infographic creation tool. When she's not writing about small business, visuals, or infographics, she's probably reading or planning her next trip.